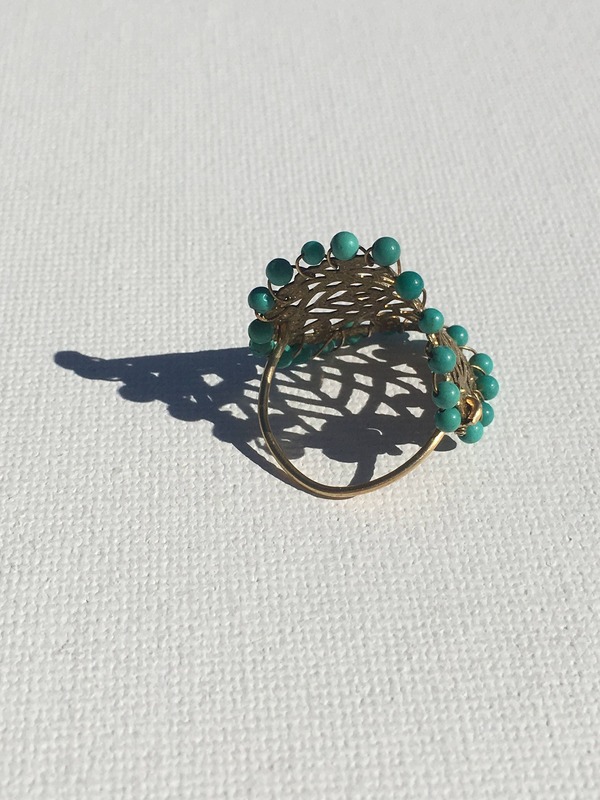 Celosia Ring. 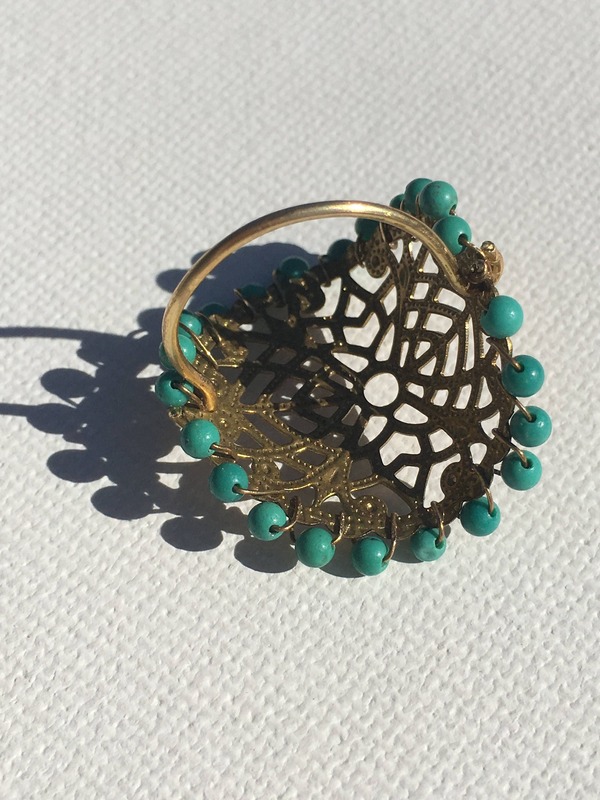 Vintage brass plate framed with tiny turquoise beads on a thin shank. Extremely comfortable. 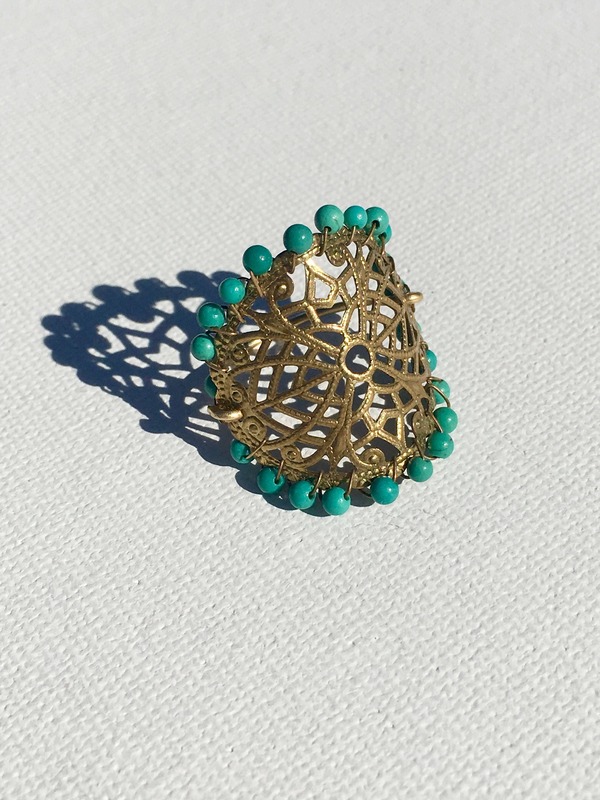 Statement ring made out of a vintage filgree brass plate framed with tiny turquoise beads on a thin shank.